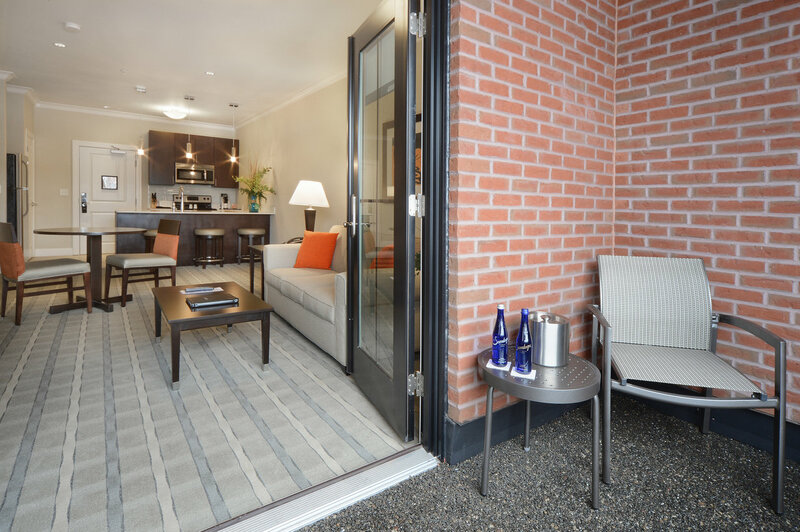 Our Concierge Suite with terrace is a beautiful one bedroom suite with a walkout covered or balcony terrace. This suite features between 800 to 1000 square feet of living space and is the size of the largest suite in most hotels. With beautiful large windows that allow for plenty of sunlight, the suites bring the comfort of a high-end condo to the hotel experience. 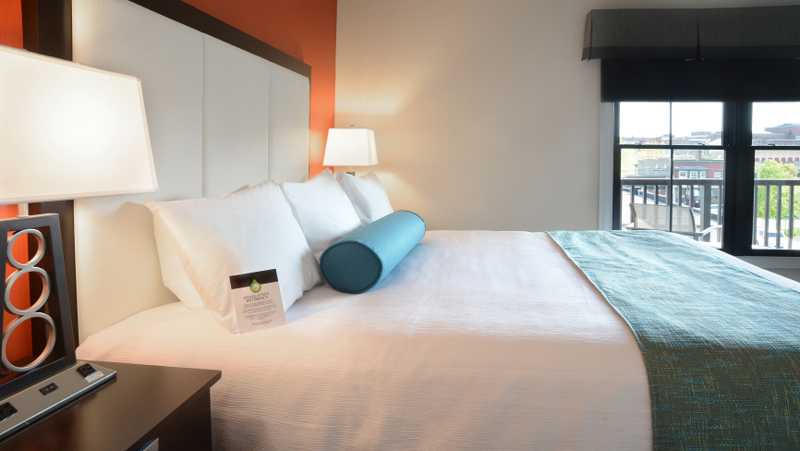 Enjoy a stay that feels like home, with the customizable service of a hotel. The Concierge Suite’s bedroom has a plush king-size bed with premium linens with a walk-in closet. The living room area also includes a queen-size sleeper sofa with a generous amount of additional closet space. 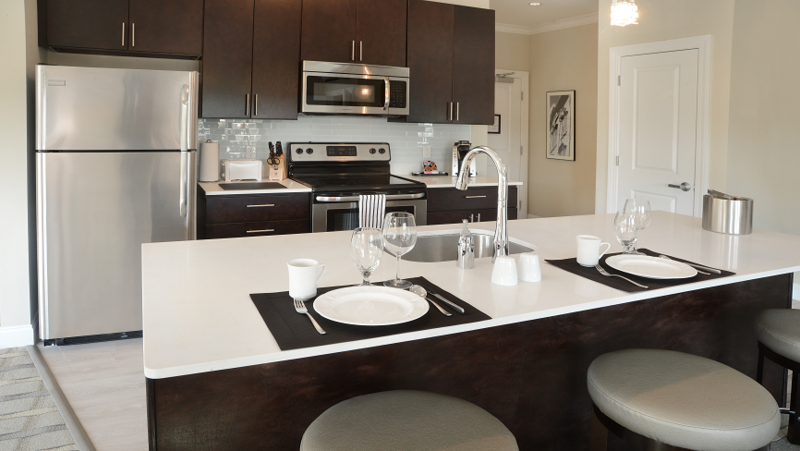 The common area also features a full kitchen with solid surface countertops and stainless steel appliances, washer and dryer, 55” HD TV, a kitchen island with pendant lighting, and much more.This is truly a beautiful, bright retreat in the heart of downtown Saratoga Springs.